New Relic Offers a performance management solution enabling developers to diagnose and fix application performance problems in real time. 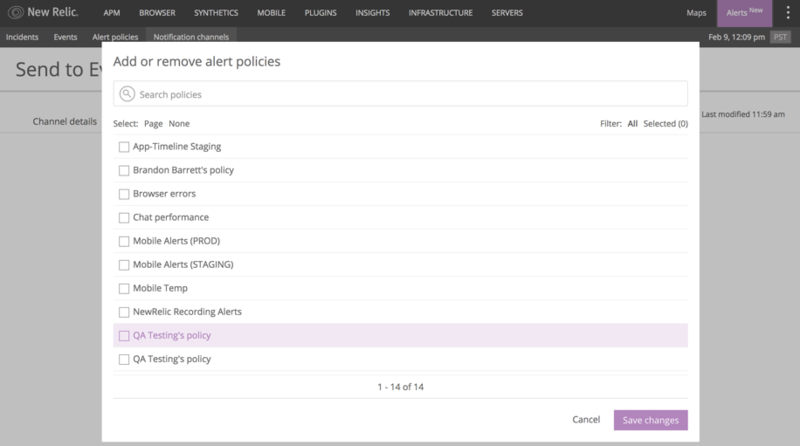 The following is a walkthrough of both versions of the New Relic integration. 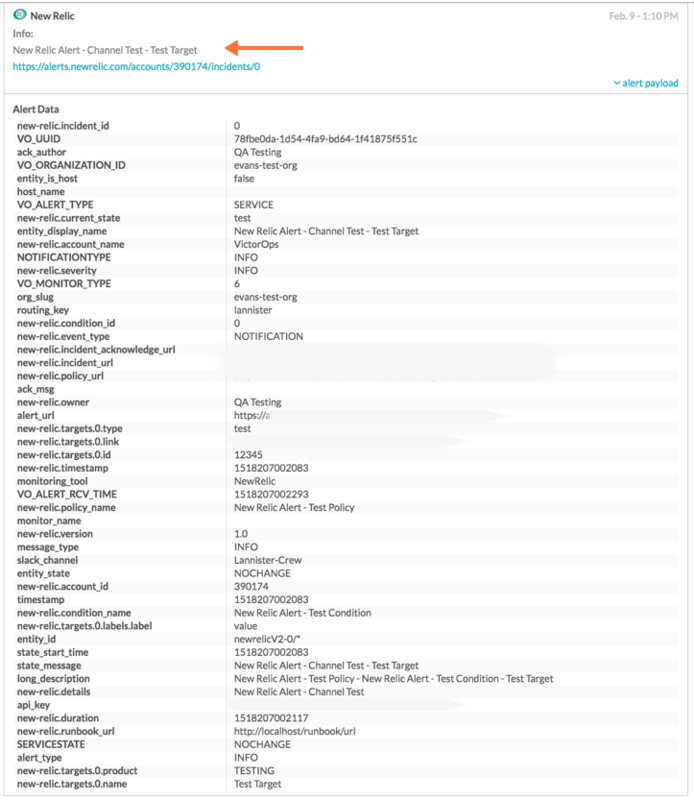 Use it to send alerts from New Relic into the VictorOps timeline. From the main timeline select Settings >> Alert Behavior >> Integrations. 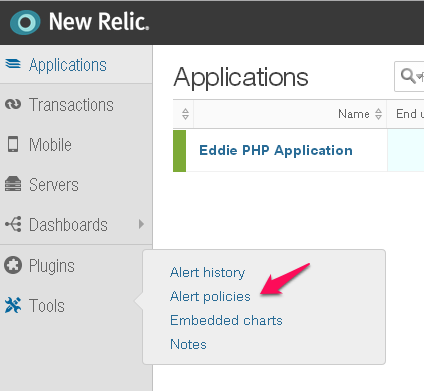 Navigate down to the New Relic tile and select Enable. This will reveal the URL and API Key. Copy the endpoint URL along with the API Key, both of which are needed in the configuration inside of New Relic. 2. Click New Notification Channel. 3. 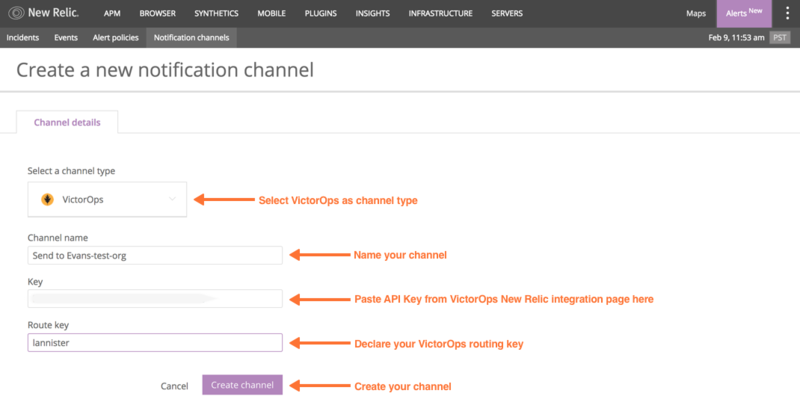 Select VictorOps as channel type and fill in the form. Click create channel. Note: Route key is NOT optional, please provide a value for this field. Once you receive the test alert in your VictorOps timeline, you are done! 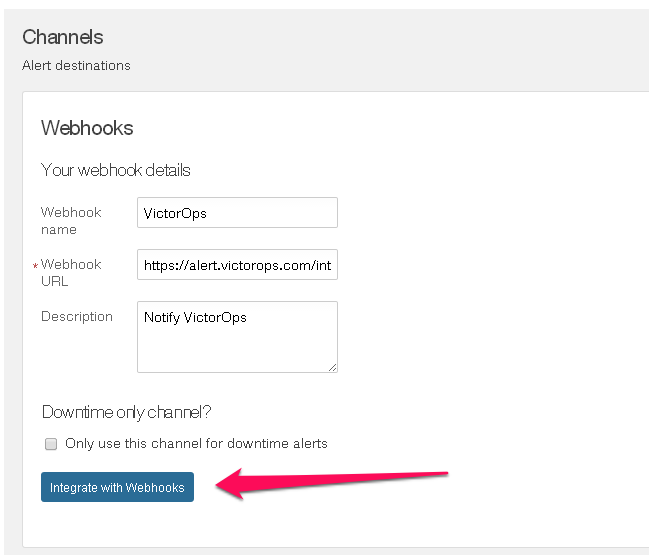 Add VictorOps as a WebHook in New Relic.